Swedish military computers were hacked and used in an attack targeting major US banks in 2013, the armed forces said on Monday. The attack knocked out the web pages of as many as 20 major US banks and financial institutions, sometimes for several days. Speaking to AFP, military spokesman Mikael Abramsson said that a server in the Swedish defence system had a flaw which was exploited by hackers to carry out the attacks, confirming a report in the Swedish daily DN. "The hacking attack was a kind of wake-up call for us and forced us to take very specific security steps to prevent such a thing from happening again," he said. "We cannot be more specific about the new security measures we put in place, but such an attack could not happen again." At the time, the attack, which began in 2012 and continued for months, was one of the biggest ever reported. US officials blamed Iran, suggesting it was in retaliation for political sanctions and several earlier cyber attacks on its own systems. Many other vulnerable servers in locations throughout the world were used in the attack, and together they created an Internet traffic jam so powerful that it knocked out the banks' websites. "We normally have a good eye on our stuff. This mistake is about the human factor," Dan Eriksson, IT security expert with the Swedish armed forces, told DN. DDoS attacks have long been a basic hacker weapon but they have typically involved the use of armies of personal computers tainted with viruses and coordinated to make simultaneous requests at targeted websites. 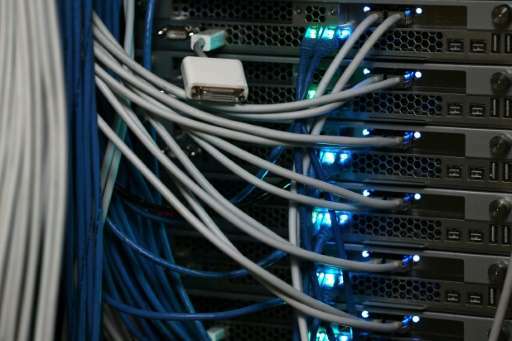 In 2013, attackers infected datacentres used to host services in the Internet "cloud" and commandeered massive computing power around the world to back the DDoS attacks, security experts said. US-based Neustar, which protects companies from such attacks, said they can cost financial institutions as much as $100,000 (about 88,000 euros) an hour.